15 GB at $26099 = $1.74 per MB. 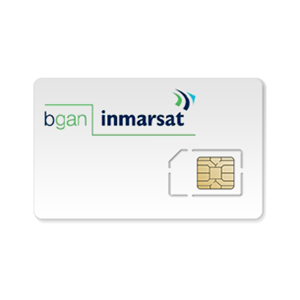 Sim card includes 15 GB that may be used at any time during the 12 month period. Phone calls billed at $0.79 per minute to any landline and $1.09 to any cell phone. Incoming calls are FREE. SMS texting billed at $0.50 per outgoing message. Incoming messages are FREE. How does Highest Priority routing differ from Standard routing? There is no difference unless there is a lot of BGAN traffic congestion. Since BGAN traffic is typicaly minimal, congestion is seldom an issue.